Invested Development, an early stage impact investor, led the round for the Nairobi-based technology startup. Invested Development, Omvestments, Urban.us, Cheryl Heller and Gary Scheft of CommonWise LLC, Synergy Growth, and other investors were attracted to this opportunity because of the cross-sector impact it will have in Africa and beyond. 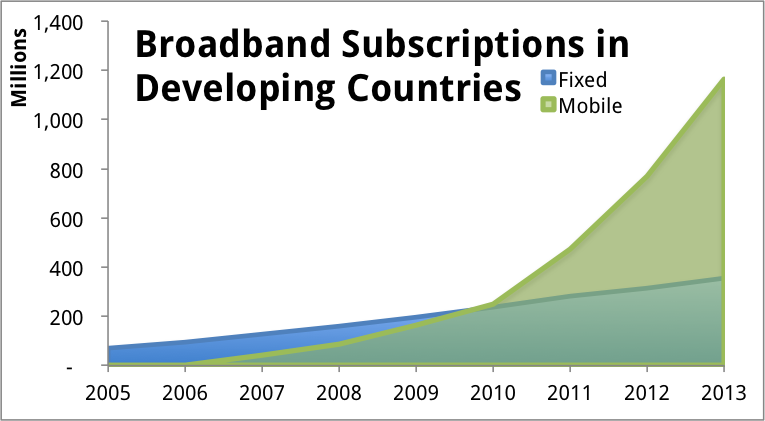 World Bank data shows that for every 10% increase in broadband penetration there can be as much as 1.4% GDP growth. Currently, only 24% of people in the developing world are connected to the Internet and even then, the connection is often unreliable. Seeing and experiencing this problem firsthand, Ushahidi developed the BRCK: a device that allows for rugged, reliable, and easy access to internet connectivity. This is a critical innovation for a variety of sectors across Africa. The BRCK taps into the unique market characteristic of emerging market internet subscribers: 65% of whom access the internet wirelessly. The BRCK allows users to leverage the nearly ubiquitous mobile broadband and turn it into a connection designed for productivity, rather than solely consumption. Beyond wireless connectivity, the BRCK was designed to provide redundancy where there is poor power and internet infrastructure, automatically switching to inbuilt batteries and 3g connectivity when the primary sources fail. More than just a router, the BRCK is designed to allow users to access the internet in Africa and overcome some of the challenges that are unique to the continent. Power spikes and outages are everyday occurrences in Nairobi and across Sub-Saharan Africa, no matter your income level. In Nigeria for example, you can expect up to 300 outages each year for 5-8 hours at a time. Power spikes are even more unpredictable. BRCK’s Chief Operating Officer, Philip Walton, detailed his experience dealing with technology and power spikes that are prevalent throughout Africa in aBRCK blog post. With the BRCK’s smart charging and management capabilities, internet access is uninterrupted and your devices remain undamaged. According to the East African Community organization, 90% of schools and 30% of hospitals are off-grid. With the BRCK, teachers, administrators, doctors, and caregivers can mitigate the unreliable connectivity by caching and distributing content to remote locations and setting up reliable WiFi hotspots. BRCK is an independent company with 11 employees. About BRCK: BRCK is an integrated hardware and software company based in Nairobi, Kenya that designs and engineers a rugged, self-powered, mobile WiFi device which connects people and things to the internet in areas of the world with poor infrastructure. Our vision is a world connected, where the last-mile of internet connectivity is as seamless for someone living in Africa as it is in Europe or the US. Ushahidi is a global organization that empowers people to make serious impact with open source technologies, cross-sector partnerships, and ground-breaking ventures. For more information, visit http://www.brck.com/. About Invested Development: Invested Development is an impact investment fund manager. The mission of the company is to provide risk capital investments in early stage startups with mobile technology, agriculture technology, and alternative energy innovations for underserved markets. It manages the BSP Fund, an early stage equity fund. For more information, visithttp://www.investeddevelopment.com/. About Synergy Growth: Synergy Growth is a British venture fund that invests in exceptional entrepreneurs and management teams to help accelerate the growth of their businesses with positive human consequences. We look for innovative businesses with a sustainable technical advantage, operating in new markets and markets being disrupted by new technology.